When you think of your typical water operator training for seasoned or prospective operators, you likely would envision a room set up classroom style at a utility, community space or hotel, filled with men and women in work boots, all on call, coffee in hand, trying to sit as close to the back of the room as possible, there to get the required continuing education hours needed to maintain their operation license. The word potluck would not even come to mind, but if done right, that promise of shared food, can bring together seasoned operators to assist a community concerned about their distribution system and water quality. This concept was successfully piloted at the Pepperidge Woods water system in Barrington, NH in November 2017, entitled: Distribution System & Community Engagement Workshop. An animated exchange of information was had by all participants. Small community public water systems are often run by volunteer operation committees within homeowners’ associations, Co-ops, small Village Districts, etc. Operation committees are a great way to keep costs down and retain institutional knowledge. However, when water quality diminishes, the community may need to seek outside resources to help identify and tackle their issues. That was the impetus for this unique and successful potluck training. Experienced operators would have an opportunity to earn continuing education units while utilizing their expertise to assist a community that, in this case, was experiencing low pressure and brown water. This idea of an educational potluck with operators, community & board members, and TA providers may not work everywhere, but, in the places that it might, there are a few best practices to keep in mind to ensure a successful experience. First of all, you need a community sparkplug that will draw community residents to the event. That sparkplug is someone who understands the needs of the community and is willing to partner with you to accomplish a specific goal. 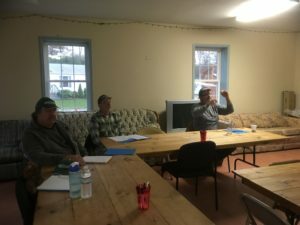 In this case, Jane Astley, a member of the finance committee for Pepperidge Woods, worked with the board, the operation committee, neighboring system leaders, and residents to bring in RCAP to lead a training to educate them on their water quality and effective distribution maintenance methods. It was Jane’s idea to host a potluck. Jane understood the importance of an evening shared over food. Both community members and operators took ownership of the workshop by contributing home cooked food–good food, too. RCAP’s staff learned that NH water operators really know how to cook and can make a mean chowdah! Bear in mind, if the workshop is offered to address a problem, then there will naturally be grievances that residents will want to express. To keep the workshop productive, create a very structured agenda and follow it closely. Revisit the agenda after each section and abide the times to keep things moving along. Assure the group that you will address their individual concerns and leave ample time for open discussion during the “practical” portion of the workshop. Start out with the basic training to enable a baseline of understanding for the general audience. Research the community prior to the workshop. It is important to have a good grasp on the community needs to tailor the content. For the NH potluck, the RCAP trainer utilized the Area 1 RCAP/AWWA Distribution training materials. The primary audience was Pepperidge Woods’ operational committee and board members, which had limited to no hands-on operational experience. Knowing the distribution system components, water quality issues, and applied treatment enabled the slide deck and examples to be geared towards the host community, Pepperidge Woods. Water quality topics such as hydrants and nitrification were brushed to the side as it didn’t pertain to them—only the topics most relevant to this system were covered during the workshop. If you disagree, consider asking a question rather than arguing to prove your point. It’s okay to disagree, but don’t personalize it. Stick to the issue, not the person who is disagreeing with you. Speak up if the process doesn’t seem fair. Speak for yourself, not for others and not for an entire group (use “I” statements). Personal stories stay in the group unless we all agree we can share them outside of the group. We all share responsibility for making the group productive. Be respectful and use respectful language. Allow the community to break into small groups with the seasoned operators in attendance to help identify issues that they have encountered. Bring the group back together to report out and post the identified problems. In this case, brown water and low pressure were the predominant concerns. Then break back into small groups to discuss what could be causing the problem. Again, bring the group back together to outline potential root causes. Community members listen and share ideas. During the workshop, the experienced operators were eager to share several potential reasons that could contribute to the brown water and low-pressure issues. A lot of these reasons had not been previously discussed. After further trainer led discussion, the group was able to agree on the most probable root causes and discussed how to address those concerns moving forward. The community was delighted to have new perspectives and ideas on how to work through their existing and any future issues. The operators were more than happy to help and the whole group was so entrenched in the process that nobody was in a hurry to leave. Conversations and expressions of appreciation were still going on at least 15 minutes after the workshop’s close. Ideally, you want to make sure that all attendees feel welcomed, are engaged, and are able to get something valuable out of the experience. The NH workshop evaluations confirmed that both the operators and community enjoyed this fresh style of training and found great value in the experience. The NH RCAP trainer is now working to develop a workshop using the same operator and community engagement potluck approach to introduce digital mapping to another small system. Mr. Vazquez teaches community members about the importance of water purification. San Diego is a small community located in the hills of Coamo, Puerto Rico. They have been providing water to community members for a long time, but not under the official status of a public water system. Because of this, the water quality has not been regulated for many years. The PR Department of Health, in coordination with the EPA, referred them to RCAP Solutions to help them to develop an official and reliable system. The community, with a small donation from the municipal government, drilled a well despite the topography challenges of the area. Their economic restrictions and a lack of technical assistance at the time of construction caused them to place the well between a ditch and a pluvial discharging area. When RCAP Solutions evaluated the situation, RCAP taught the community about the elevated risk of losing the well in its current location and the immediate negative effects that they might face if a heavy rain event occurs. RCAP helped them chlorinate the water and become compliant with the required test schedules. As the system began making positive changes, the catastrophic hurricanes hit Puerto Rico; and Coamo was devastated, along with most rural areas on the island. 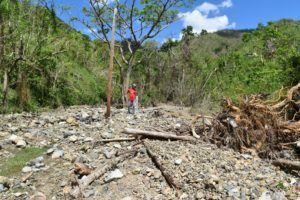 Hurricane Irma brought rain and landslides to the area, leaving them without communication and in terrible condition. A week later, Hurricane Maria, considered the worst storm in the history of Puerto Rico, took out what little was left. The community lost their well and part of their distribution system. The well area was covered by three to four feet of rocks, gravel and pebbles. The island’s main power grid was destroyed, with no electric power in San Diego and the estimated time for recovery is still unknown. 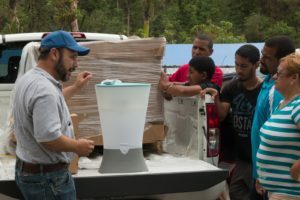 The community was able to get the old water system online with a superficial water source, a small storage tank and gravity-fed distribution, but without any kind of filtration, disinfection or water quality testing. This was the only choice they had to continue water service for their residents. After RCAP’s assessment of the situation, San Diego was instructed to inform the community members about the change of source, the absence of treatment, and the need to boil the water before using it. In the efforts to provide alternatives to the community, RCAP Solutions contacted Water Mission (WM), a faith-based not for profit organization that seeks to ensure safe drinking water access across the globe. RCAP coordinated a site visit to perform a second assessment, and water samples were taken to determine the kind of treatment needed. This would allow the team to determine the best course of action and decide whether point of use filters were an option for the community. RCAP coordinated the delivery of a Kohler Clarifier provided by Water Mission, an effective filtration system that can purify drinking water without electricity. RCAP Solutions coordinated assistance, teaching the community about the equipment and disinfection. 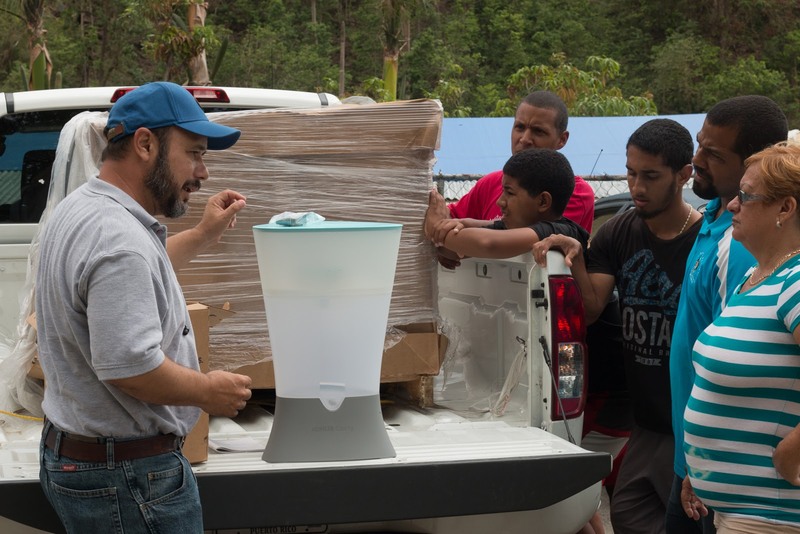 Aquatabs were provided for additional water disinfection after the filtration process, thanks to the Puerto Rico Department of Health. Water Mission staff has provided meaningful assistance with many RCAP Solutions supported communities, resulting in a very fruitful partnership. After WM’s intervention during the emergency phase, they are counting on RCAP Solutions’ support to follow up and assist with the long-term recovery process of this small public system. As a result of this collaboration, the residents of San Diego have filtered water and are less vulnerable to diseases related to the consumption of untreated water. This disaster has presented an opportunity for this community. For many years, the community as a whole has participated minimally in the administration of the water system, but this crisis has forced them to become better educated about their drinking water and will hopefully create a willingness to become more involved in the future. Most recently, RCAP Solutions helped the community recover their missing well casing and the well pump. 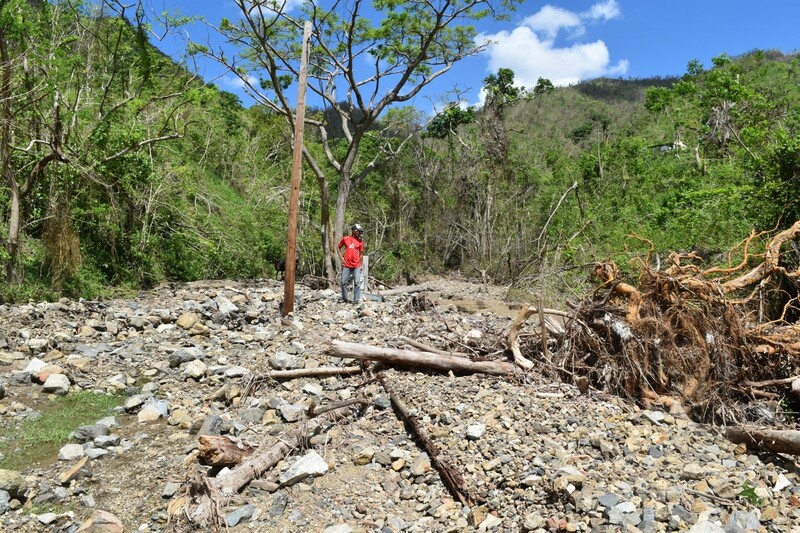 While their generator cannot carry the electric load of running the system, RCAP will assist the community in reconstructing their well in a more secure location that should prevent future damage. San Diego is working hard to recover what was lost and RCAP will help them maximize limited resources and ensure the best possible long-term results. When is a Bridge an Asset for a Water Utility? When is a bridge an asset to be considered in your water system’s financial planning? One small system, the Leino Park Water District, located in Westminster, Massachusetts, is an example of just that. 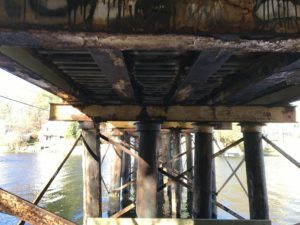 The residents and water board knew they had to do something to replace this crumbling structure that was integral to servicing their community. Its value was always clear to the sixty-five households for whom it was the only right of way, but unfortunately it was not a priority for local or state highway funding. One would not normally categorize this as a water system asset, but out of desperation, ingenuity was born. Bridge conditions had become treacherous. After nearly a decade of patching the physical structure and countless meetings with town and state officials, the Leino Park Water District board members were told the sixty-five homes served by the bridge were too few to qualify for traditional road and bridge funding sources. Then the Leino Park Water District Board took matters into their own hands. They secured clear ownership to the bridge and land on which it is built and approached USDA Rural Development (RD) program staff to discuss their options. The had a good relationship with RD, having successfully completed loan repayments on a past water infrastructure project, so they figured they would see if they could apply for funding assistance from federal infrastructure dollars to replace the aged bridge. Unfortunately, what looked like a promising standard application process that the system had been through before has since become more complicated and ground to a halt. RCAP Solutions received a referral from the MA/CT/RI state RD office in November 2017 to assist in the application process. 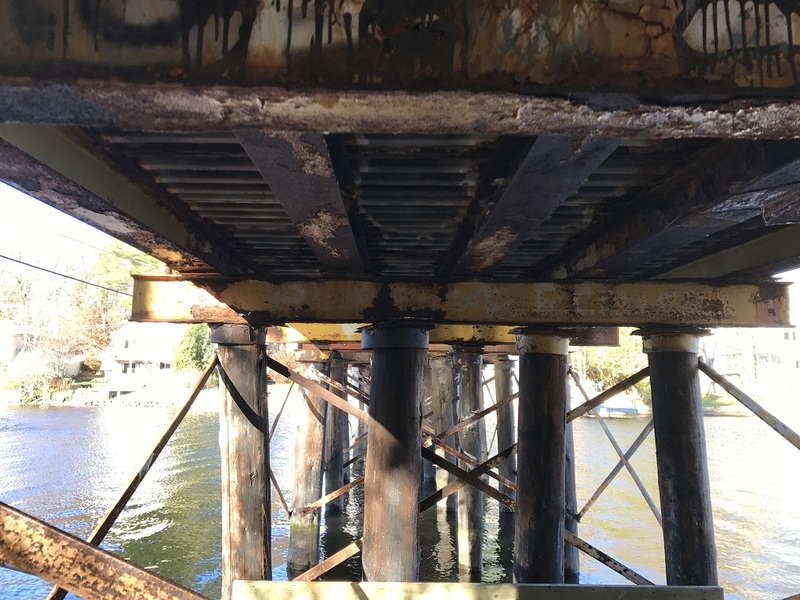 Under a very tight deadline, RCAP Solutions’ staff completed the required Environmental Assessment (EA) to expedite Leino Park’s application for the replacement of the bridge. RCAP Solutions staff completed this report for free under their USDA Technitrain grant within three months. This service is often something systems pay for out of pocket—but it is an eligible work product under several RCAP’s funding sources. If your system is struggling to find funding for your required EA or Preliminary Engineering Report (PER)—contact your local RCAP and/or RD office. Like in the case of Leino Park, if your local RCAP has the expertise, they could assist and provide these services free of charge. RD also has pre-development planning grants available for low income systems that can cover these application development costs: https://www.rd.usda.gov/programs-services/water-waste-disposal-predevelopment-planning-grants. Another option is the Community Engineering Corps (CEC), the domestic version of Engineers Without Borders. They have a very simple application process—although they mostly provide free engineering services for low income systems—they consider each application one on one to determine need and eligibility: http://www.communityengineeringcorps.org/. The Board of the Leino Park Water District submitted their USDA RD funding application and though there have been a few setbacks, they are confident that funds will soon be awarded, maybe even this federal fiscal year. RCAP Solutions, the local RD staff and the Leino Park Board worked closely together to accomplish this. 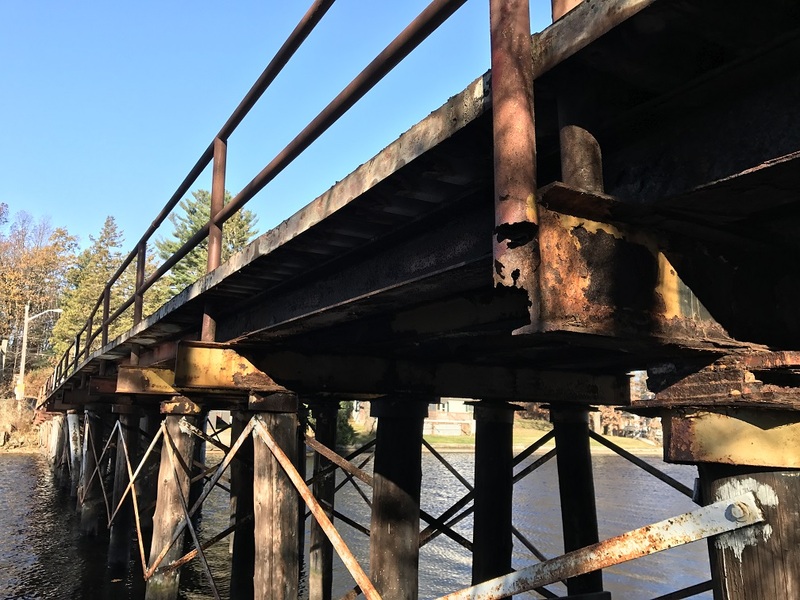 The existing bridge, pilings, and concrete abutments will be removed and replaced with a timber structure, designed, engineered, and built on-site that will meet or exceed state/ local specifications. Now that they own the right of way, they can plan to maintain this community/water system asset into the future. Fixing it now will ensure public safety and will allow local municipal and emergency vehicles easy access to the 65 homes if needed that they currently do not have. With the assistance of a few community volunteers from Barrio Collores, Pontifical Catholic University students, and municipal representatives, RCAP Solutions conducted an electronic (e-waste) and Household Hazardous Waste (HHW) collection event in Juana Diaz. As part of the solid waste program, RCAP has been educating communities about the negative impacts of household hazardous waste on the environment and public health, as well as looking at ways to promote participation in recycling activities. While many materials can be recycled and taken out of the waste stream, residents don’t know which items or how and where to recycle them. After evaluating the data from past RCAP cleanup events as well as illegal dumping sites, RCAP discovered the need for education related to e-waste in particular. Interaction with community members and other stakeholders has demonstrated that there is a lack of knowledge on this topic, leading to the creation of illegal dumping sites, and the mixing of these products in the normal waste stream and landfill system. 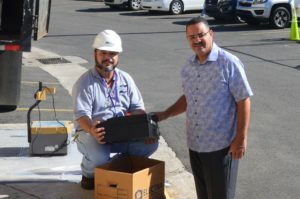 In an effort to educate residents and make improvements in this area, RCAP organized a small e-waste collection event in December, with the collaboration of the Juana Diaz municipality. As a result, RCAP collected 2,880 lbs. of electronics which were processed and recycled. Another 10,000 lbs. of non-recyclable HHW were collected and properly disposed of according to the guidance in the Electronic Code of Federal Regulations. Even though the event only lasted four hours, the amount of e-waste that was diverted from being illegally dumped was considerable. Non-conforming items are difficult to identify and depend on factors associated with the local recycler, the current market, or the item’s condition. Items like old TV’s are depreciated in the market, and the options for selling their components are only viable in countries with growing economies like India, Indonesia or Malaysia, and it is very expensive to export these large items. Other items like printers containing ink cartridges cannot be accepted because they must be separated and there may not be the means to dispose of them properly as the market for ink cartridges is also limited. 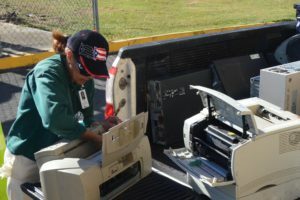 The EPA helped dispose of many of the HHW items that could not be recycled, but ink could not be received for disposal, so as a result, printers could not be accepted. The materials recovered were treated according to regulations and will not end up in the local municipal landfill, a landfill that is not suitable for these kinds of toxic materials. Josefa Torres-Olivo, District Director for PR and USVI removes ink cartridges from old printers before recycling. The success of this event and related activities can be measured in many different ways: it was extremely educational for local residents, students and municipal staff; it served as a kickoff for the recycling industry in the area; it acted as a means to divert materials from the main waste stream and reduce their impact in our limited landfills; and it served as a way to protect the environment and public lands from illegal dumping and ultimately, protect public health. It’s late in the evening, and the monthly meeting of the Prudential Committee has been over for hours. Lisa Bowden, treasurer and clerk of the Barnet Fire District #2, is tired and frustrated. She should have been home hours ago, but an issue with the chlorine pump at the well pumphouse is keeping her awake. Lisa is used to sending out bills, balancing the District’s too-thin checkbook, and chasing customers down for delinquent payments; replacing the diaphragm on a chemical feed pump is not in her proverbial toolkit. Unfortunately, there doesn’t seem to be a new pump diaphragm in her actual toolkit, either. 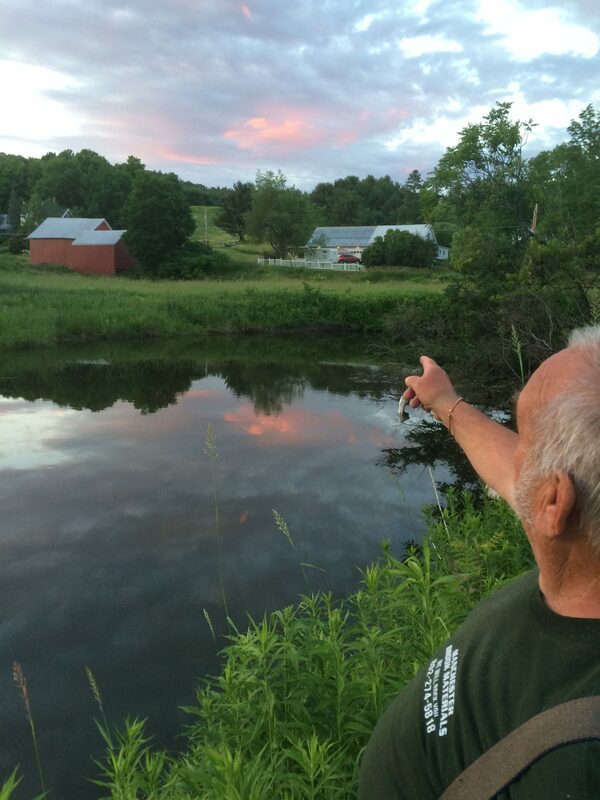 A board member points out where a critical water main crosses a river in the village. The pipe has been undermined due to erosion from recent flooding and has become a source of concern for the community. In a village of a few hundred people – the system has just 61 connections – finding the right people to lead the Fire District and figure out how to fund critical infrastructure improvements wasn’t necessarily the issue. The issue was finding anyone at all. Fortunately for the village, they may have finally found the right people. For months, Lisa had pleaded for residents to attend meetings and to get involved with the water system in her regular emails to customers. And there were plenty of emails, because Lisa religiously kept customers up to date on the latest in a long string of water main breaks, boil water advisories, and water usage restrictions. Then, a resident who lives a few doors down from the pumphouse, Jon Carpenter, decided that he’d be willing to step into the role of Chairperson for the Prudential Committee. David Stevenson, a holdover from the previous Committee, agreed to be trained to help monitor the system and record chlorine residuals under the tutelage of the system’s certified water operator. Jay Sprout, a resident and pastor at a local church, decided that he’d be willing to add his voice to the three-person governing body. Despite recent source water and treatment plant improvements made by BFD2, maintaining regulatory compliance is a real challenge – as it is for many rural communities. The water system, which serves about 205 customers, had been under a boil-water advisory since 2004 due to long-term source water deficiencies. In 2014 members of the community expressed a desire to acquire the system from its private owner, and RCAP Solutions facilitated several steps in the process. The goal of the purchase was to give the community more control over the fate of its water system. As a publicly owned water system, BFD2 would now be able to access federal funding sources for long overdue improvements. In February of 2017, BFD2 completed a major source water improvement project, financed in part by the Drinking Water State Revolving Loan Fund. This should have marked an important milestone for the community, as they were able to lift the boil water advisory following the improvements and installation of a new disinfection process. It was not the end of infrastructure concerns, however; frequent distribution system failures were crippling the system’s operating budget. Well pumps work overtime, the chlorine supply dwindles, and another tab is opened with the local contractor to start digging. Replacing a few feet of pipe at a time is unsustainable, and the Prudential Committee knows it. The contractor, who has enabled BFD2 to continue providing pressurized, potable water by allowing BFD2 to pay when they can – knows it. Maybe most importantly, the customers are beginning to realize that a long-term solution is needed. To address the issues in the distribution system, RCAP Solutions provided an action plan to the board. The plan calls for taking advantage of available state resources, such as an asset management grant, to better plan for future needs. In the process, BFD2 could prioritize distribution system improvements – including the replacement of a critical, aging water main crossing a river in the village. Meanwhile, the Prudential Committee is taking advantage of grant-funded leak detection services and is working with RCAP Solutions to increase revenue. In addition to securing a rate adjustment and looking at available planning grants, though, they will need to work on another critical task – gaining the support and trust of the community. For a system this size, taking on more debt – which requires community support in the form of a bond vote – will be a likely scenario considering the lack of reserves and mounting infrastructure concerns. For BFD2, it is the financially prudent approach; annual repairs are comparable to, and occasionally more than, another bond payment. With interest rates on the rise, a project that is “necessary and inevitable”, in the words of a local USDA representative, can’t be started soon enough. 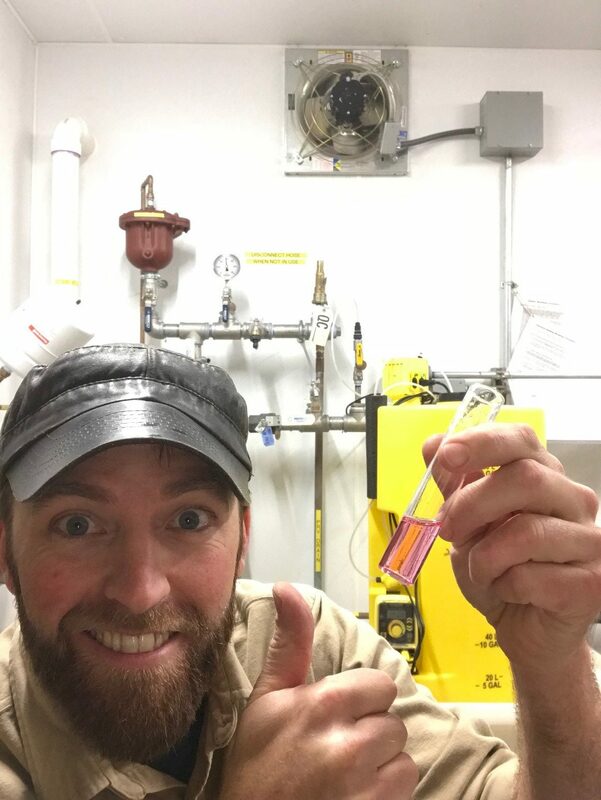 RCAP Solutions staff gives a thumbs-up after successfully restoring an adequate chlorine residual in the drinking water system. chlorination system, coupled with the lack of local capacity for diagnosing and resolving those issues, contributed to a violation in late 2017 for failing to maintain adequate microbial treatment. Under the Groundwater Rule, the system is required to maintain a minimum chlorine residual to ensure adequate disinfection. Avoiding an additional violation would be critical; every violation or misstep for the Prudential Committee – especially one that results in another boil-water advisory- reduces the likelihood that they will be able to gain the community’s trust. Without the trust of the customers, it’s unlikely that they will move ahead with the bond vote necessary for future improvements. Scanning the shelves of the Fire District’s pumphouse, Lisa and RCAP Solutions TAP, Mark Johnson, finally found a rebuild kit that would work for a backup pump. The chlorine residual was re-established, a violation avoided, and Lisa had received her first lesson on rebuilding a chemical metering pump. In the weeks that followed, RCAP Solutions provided practical guidance to the system’s operator and treatment plant engineer on how to improve the chemical feed system. RCAP Solutions has also provided the system’s board members with the knowledge they need to maintain compliance with state and federal regulations. A former dairy farmer, Jon Carpenter, has brought his dedication and work ethic to help solve some of the Fire District’s most pressing issues. David Stevenson’s watchful eyes have kept the Prudential Committee from having to request a site visit from the certified water operator every time a minor issue pops up, which is helpful. Even though the operator keeps close tabs on the system, she lives over an hour away and BFD2 can’t pay for too many emergency visits. Jay Sprout’s common-sense approach to system management has already started to pay dividends; meetings are run efficiently, and discussion stays on topic. Lisa Bowden, on the other hand, continues to claim that she’s ready for a break from her duties. Whether it’s trudging up to the storage tank in a snowstorm, communicating critical details about the system to customers, performing her duties as tax collector, or trying to act interested in the intricacies of pump diaphragms, for years Lisa has been a passionate advocate for the village. But Lisa can’t do it much longer. Nor does she want to, as she tells anyone who will listen. “I’m too old for this stuff,” she pointed out as she locked up the pumphouse, ready for a vacation that is long overdue. The East Branch water system has been under a Boil Water order from the health department for almost three years. A recently-completed Preliminary Engineering Report suggested that without outside funding assistance, a project to resolve the problem would cost residents upwards of $900 per year per household. Preferred site for the new East Branch Well: The Town Park. 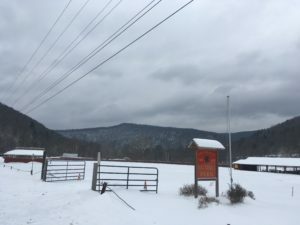 The private water company serving 42 homes in the hamlet of East Branch in the Town of Hancock, located in Delaware County, is fed by two deep, low-producing wells and by springs that have been determined to be groundwater under the direct influence of surface water (GWUDI). The system’s infrastructure is also aging, and the Water Board that has been running the system for many years was overwhelmed by the magnitude of the need to upgrade the system and bring it back into compliance. The Town of Hancock offered to take over the water system and commissioned an engineering study to evaluate alternatives and estimated costs. However, the cost of the suggested improvements was projected to triple the existing water rates. On the other hand, having the Town take over the system enabled East Branch to be eligible to compete for CDBG funds to pay for the much-needed upgrade. In order to document financial need, RCAP Solutions assisted the Town to document the % Low-to-Moderate Income (LMI) Individuals in the service area through the completion of an income survey. RCAP Solutions helped the Town to initiate the survey by providing the survey form, a sample cover letter, and survey instructions. RCAP received the completed surveys, processed the data in a specialized database, provided periodic updates, and assisted the Town to achieve the required 95% return rate through follow-up door-to-door canvassing. The survey documented that the percentage of residents served by the system exceeded 51.0% LMI Individuals, the minimum needed to be eligible to compete for CDBG funds. The survey documented that fully 64.8% of the residents were considered low-to-moderate income. RCAP provided the Town with the survey results as well as the methodology and supporting documentation for the CDBG application. In December 2017, it was announced that the NYS Office of Community Renewal awarded the project $595,500 in CDBG funds. More than two thirds of the project costs are associated with providing the 3,000-foot service line from the site of the new well to the existing system. The Town plans to use the income survey results to support a second CDBG application this year in order to fully replace the distribution system as well. This valuable grant funding will help to keep rates reasonable for this lower income community instead of paying over $900 a year per household, which would have been the case if they had to pay 100% out of pocket for the needed upgrades and interconnection. The project, once complete, will also allow the Boil Water Order to be lifted, so residents will have water in compliance with the Safe Drinking Water Act flowing from their taps for the first time in nearly three years. We’ve been here 93 years. Why is this suddenly a problem? Honey Pot Hill Orchards is a family run business located in Stow, Massachusetts, about 30 miles west of Boston. Stow is a small, quiet town of approximately 6,600 residents. When Clifford Martin purchased the 180-acre farm in 1926, he sold apples, pears and peaches both wholesale and retail. His son, Richard, was one of the first in the country to offer pick-your-own apples; and that experience continues with Richard’s son and granddaughter. Andrew and Chelcie Martin are currently the third and fourth generation and run a fully retail operation with pick-your-own apples, peaches and blueberries, as well as a retail and bake shop, a maze and other family-friendly fun and entertainment. These resourceful business owners now operate their thriving family legacy which is currently nominated as one of USA Today’s Best Apple Orchards of 2017. For the entire history of the business, the farm has utilized one drilled well with no treatment for the labor residence, public bathrooms and operation of the cider press and snack bar. In late 2015, the farm contacted the town health department to inspect a new donut machine in the snack shop. The inspector had recently retired and the town was now utilizing an association of boards who were not familiar with the farm. During the on-site inspection, the farmers were informed that they should be a public water system and that they had already been reported to the Massachusetts Department of Environmental Protection (MA DEP). “We’ve been here 93 years. Why is this suddenly a problem?” asked Andrew Martin. MA DEP had recently discovered many farms and small businesses operating under similar circumstances and all were subject to the same regulations: all were considered small public water systems and were required to take the steps necessary to comply with the Safe Drinking Water Act. MA DEP recognized Honey Pot’s well as a transient non-community public drinking water system because it serves more than 25 people more than 60 days per year. Very understandably, the owners were confused at the new designation as they had operated the business without the additional requirements and regulations of being a public water system for generations. They had also heard horror stories from fellow farms who had become public water systems, undergone testing and were now burdened with tens of thousands of dollars in contractor, testing and equipment fees. 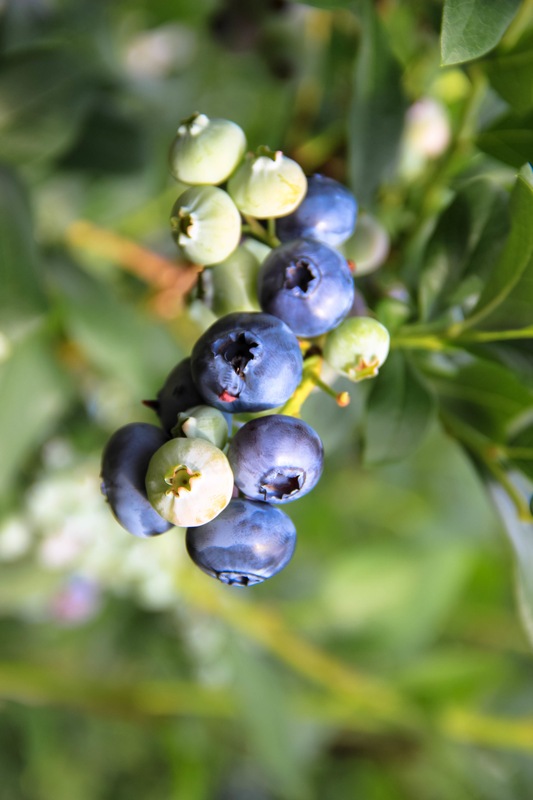 As involved and successful farmers in New England, the Martins were already dutifully complying with local, state and federal regulations governing their crops, business and employment practices. They contacted their local Farm Bureau for assistance in resolving this issue without the need to become a public water system. The Martins were hopeful that by reducing connections or usage, they could avoid the designation of a public water system and the additional requirements, fees and costs. They were willing to stop public use of the bathrooms, post signs that stated the water was not potable and only use the water after it had been thoroughly heated. But MA DEP was not open to the proposed changes because of the exposure of the public to the water system. At this point the Martins contacted their State Representative, Kate Hogan, for assistance in communicating with MA DEP. They were then referred to Massachusetts State Senator Jamie Eldridge. The legislative offices were not able to help as the MA DEP falls under the Executive Office of Energy and Environmental Affairs. The Martins met with MA DEP in Boston, then in the Central Regional Office in Worcester on multiple occasions. These attempts at discussion and compromise proved unsuccessful. During this time, the deadlines for compliance passed and the farm received an administrative consent order with possible fines. The situation had reached a stalemate. 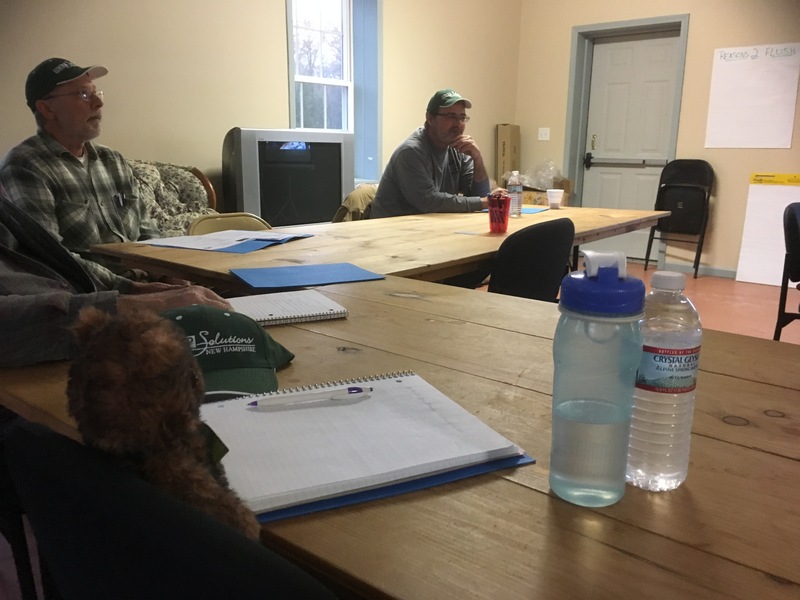 An RCAP Solutions Technical Assistance Provider for Massachusetts, Connecticut and Rhode Island was working with Tougas Family Farm, a fruit farm in nearby Northborough, Massachusetts, on brainstorming new ideas for water supply during their busy apple-picking season. At a Massachusetts Fruit Growers Association meeting, the Martins were discussing their situation with other farmers. The Tougas family suggested meeting with RCAP to see if they could help. The Martins were reluctant as they feared RCAP worked for MA DEP and had little belief that the situation could be resolved, but they agreed to meet and discuss the situation, regardless. 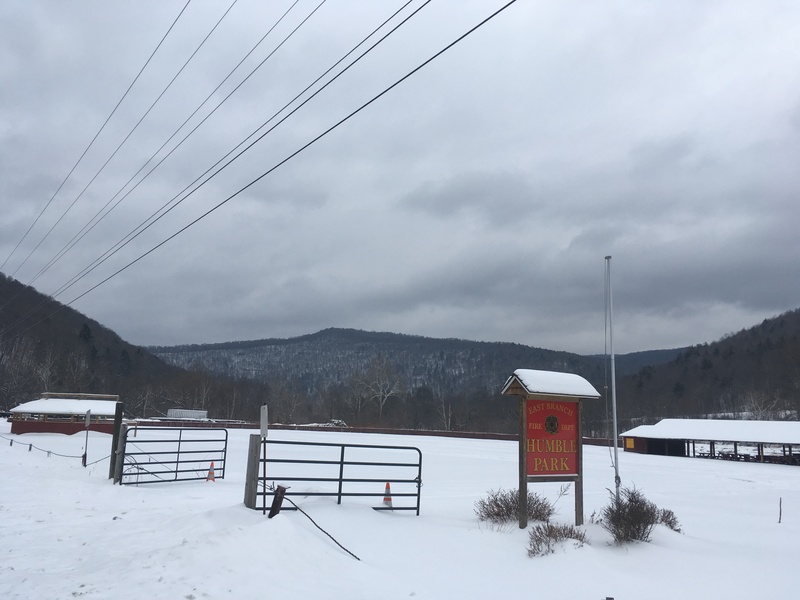 As with many of the rural locations in which RCAP technical assistance providers (TAPs) get the opportunity to work, it was a beautiful site to visit. Even in early March, the gracefully gnarled apples trees rose and fell with the hills that covered the farm. Father and daughter, Andrew and Chelcie Martin, met with RCAP on a chilly spring morning to talk about what had been happening to this farm in the cozy apartment in which the seasonal laborers were soon to reside again. The Martins were trying to finish pruning the apple trees and were anxiously awaiting the arrival of their seasonal help to assist. They were tired and frustrated. They explained the arduous process of complying with the many labor and health laws under which a family-owned farm is subject. Chelcie Martin recounted the year that the health inspection of the labor housing had found that the silverware needed polishing. The laborers were due any day and she spent hours late into the night shining each piece of silverware in order to not delay their much-awaited arrival. They were responsible and caring business owners; but they had enough on their long lists and did not wish to take on the responsibility of a public water system. After a thorough review of the thick file the Martins were keeping of their correspondence with MA DEP, RCAP had good news and bad news. 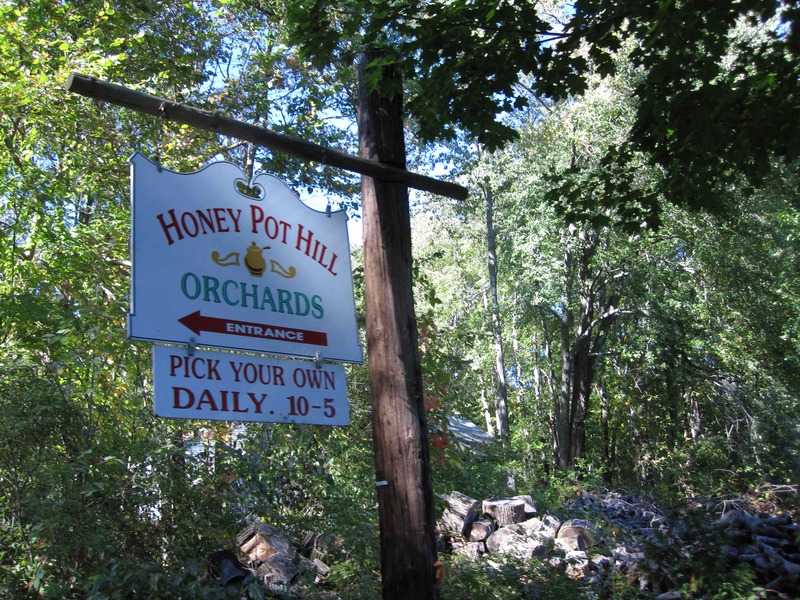 The Martins’s farm, Honey Pot Hill Orchard, Inc., had already been assigned a public water system identification number and the lengthy application process was most likely not necessary. The Martins were surprised: “We are already a public water system?” Chelcie Martin asked. The next step was to review the administrative consent order that had been issued to the water system and make a list of the requirements. Although this designation was unwanted, it did save the already very busy business owners from the application process and allowed them to continue down the list of requirements in the consent order. RCAP Solutions provided an emergency response plan and cross connection survey as required by the order. RCAP also drafted personnel plans, a sampling plan and other forms required by the order and assisted in the submission of all documents to MA DEP. All of this was completed at no cost to the system under grant funding from the Environmental Protection Agency. The corrective action plan was drafted at this first meeting. Chelcie Martin volunteered to become the certified operator for the system. RCAP assisted in the completion of an emergency certification application for licensure to cover her until she met the requirements to apply for full licensure. She attended the RCAP/AWWA full day training on the Safe Drinking Water Act to gain the knowledge needed to pass the operator exam. Chelcie Martin also took the time from her own busy schedule to study materials provided by RCAP and, due to her diligence, passed the exam on the first try. The final step was to establish communication with primacy to make sure everyone was on the same page. RCAP attended meetings between the system and primacy just to provide support for any additional requirements. MA DEP was pleased to see the progress on the consent order action items. MA DEP’s comments were received and incorporated into the items to be submitted. MA DEP had seemed pleased with the progress and all action items had been completed so RCAP Solutions closed the project, but a few months later, it was time for the Martins to submit their first annual report for the water system. The state’s electronic filing system would not recognize Chelcie Martin’s operator designation. After a little probing, it was discovered that her application had never been processed past the emergency designation. It is unclear how this detail had been missed, but whatever the cause, the reports were rejected. The Martins reached out to RCAP again for assistance so with permission from MA DEP, one of RCAP’s certified operators worked with Ms. Martin to review the reports and submitted them under his license. After the reports were successfully submitted, Chelcie Martin was able to apply for and receive full operator status for very small systems. Utilizing their experience with water systems and their existing relationship with MA DEP, RCAP Solutions was able to work with the business owners to bring their water system into full compliance. Through the entire process both the business owners and the primacy agency were looking for more information, but messages were not getting through and communication was failing. RCAP was able to act as a liaison between the water system and primacy to achieve the goals of both sides: continued provision of clean, safe water. The order was fully resolved and the Martins were ready for their busy season to begin in early August. “It was a very stressful time,” remarked Chelcie Martin. Even after achieving full compliance, she remains vigilant about the new requirements and responsibilities of being a public water system which include maintaining her licensure, water testing and reporting. They are fortunate that their well produces high quality water that meets all standards. The Martins were appreciative of the knowledge and time that RCAP Solutions was able to provide to help them understand the regulations. They are also thankful that the services provided by RCAP Solutions lightened the financial burden they had originally expected with becoming a public water system. A system’s Operation and Maintenance Plan (OMP) is a formal document that describes how a water system is to be safely operated on a daily basis. It details how to provide system service while adhering to permit requirements and safeguarding public health. This plan contains a comprehensive description of water sources, treatment processes, storage tank data and distribution system information. It must be prepared in a way that provides accurate depictions of daily routine operational and maintenance procedures. It should include examples of record keeping and emergency response procedures. The OMP should be prepared completed in a way that it clearly explains to another operator how to run the water system and keep it in compliance with all laws, rules and regulations. This document ensures adequate safe drinking water to the community if current system personnel were unable to operate the system for whatever reason. It provides direction so that all employees are aware of their individual roles and responsibilities for operating the system. Because all waster systems, even those of similar design, are run differently – the template should be customized to each system’s size, source water, treatment techniques and distribution system needs. It should convey a complete and concise understanding of the water system’s operations. 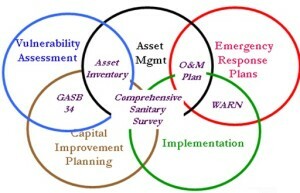 This chart shows the interrelationships of an Operations and Maintenance Plan with other important planning activities of a water system. This critical system document should be reviewed and updated on an annual basis at minimum. If new system infrastructure is expanded or assets are added, they should be included in as much detail as possible to the plan. There should be multiple copies of the plan kept at different locations and it should be distributed to operations staff, management and board members. 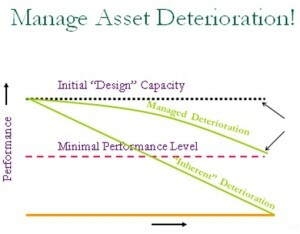 This is to help ensure that a copy of the plan is available for use should the plant or treatment facility suddenly go out of service due to a natural or man caused emergency such as a flooding event while ensuring that all stakeholders of the water system gain a basic understanding of infrastructure assets, locations and operations. It is interesting to note that while many state primacy agencies have produced OMP manuals and templates, there is not a standardized OMP document. The Environmental Protection Agency (EPA) has a check list of items to be included in an OMP and many states accept a system “SOP” – Standard Operating Procedures document produced by the engineer or operator to serve as an OMP. So it is important for a water system to check in with their regulatory agency to determine what type of document is needed to fulfill the OMP requirement. The various primacy templates also vary in what should be included in an OMP as well as the level of technical sophistication required. Examples of this include latitude and longitude locations for system assets or providing various customer notification forms in English and Spanish. A copy of the completed OMP is typically required to be kept at the system facility and is to be made available upon request from state primacy staff. This graph demonstrates the benefits of a good preventative maintenance over time. 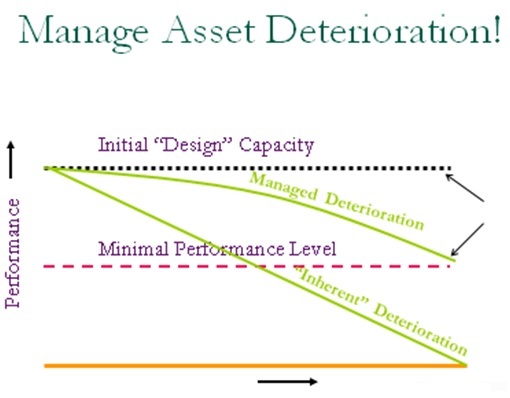 Managed deterioration demonstrated by proper maintenance within the management zone increases the useful life of the asset versus a “no maintenance scenario” of running an asset to failure. Most OMPs begin with basic system data such as the system name, public water system identification number, address, contact information, system type, the person preparing the plan and the date completion and any subsequent revision or updates. Additional information can include: system ownership; responsible officials; service area; population served; permit numbers; and listing various operator certifications. Routine operations should be described as to who is responsible for performing each task and the frequency – daily, weekly, monthly etc. The OMP is a dynamic and all-inclusive document that covers critical aspects of properly running a water system. 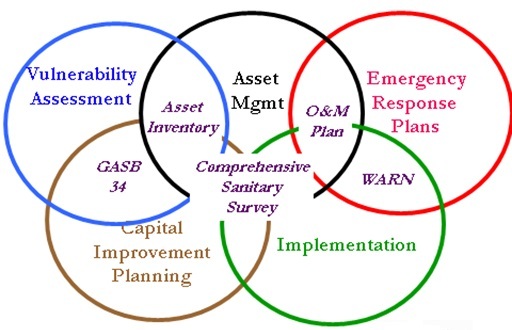 Research for this article from EPA guidance tools and various state primacy templates has demonstrated that there is a wide variance in plan requirements and complexity. Standardization of OMPs would be of benefit by easing plan preparation, providing better comprehension by new system operators and improving emergency response in large multi-state disaster events. The RCAP national network of field technical assistance providers can help small systems prepare an OMP and often at no cost to the system. Congress needs to pass a stopgap spending before this current fiscal year ends on September 30. Congress continues to debate a measure that would fund government programs at current levels (fiscal year 2016) until December 9. Senate leaders hope to pass their version of the bill this week to avoid a government shutdown and keep federal agencies funded into FY 2017, which starts on October 1. The House is likely to follow the Senate and adopt the same measure. Congressional leaders have not reached a deal yet on emergency Zika virus funding and language restricting funds for Planned Parenthood from the Zika package, which has caused delays in getting the funding measure passed. Congress will still have to return in a lame-duck session after the elections to complete the full FY 2017 appropriations process. On September 15, the Senate passed the Water Resources Development Act of 2016 (WRDA)-S. 2848. The legislation identifies $4.5 billion of water-related infrastructure projects and authorizes $4.9 billion for drinking and clean water infrastructure over five years. The measure also provides $220 million in direct emergency assistance to address drinking water issues in communities such as Flint, MI. Of interest to RCAP, the bill authorizes a grant program to assist small and disadvantaged communities in complying with the requirements of the Safe Drinking Water Act. A priority is given to underserved communities without basic drinking water or wastewater services. This section authorizes $230 million for FY 2017, and $300 million for each of fiscal years 2018 through 2021. Additionally, the bill establishes a technical assistance program for small treatment works, to be carried out by qualified nonprofit technical service providers. Authorizes $15 million a year for five years. 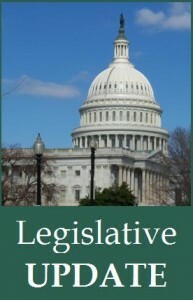 A full section by section summary of the bill is attached in the appendices of this report. Over in the House, legislative efforts are underway to move their WRDA package (H.R. 5303) for floor consideration this week. Should the House pass its WRDA package, a conference committee could work to reconcile the respective Senate and House packages in time for enactment of the final bill during a December Lame Duck session. Ted Stiger joined RCAP in 2016 as Policy Director and is responsible for the organization’s national policy and legislative efforts as well as RCAP’s USDA grant portfolio. RCAP Solutions is the Northeast affiliate of the Rural Community Assistance Partnership. The Rural Community Assistance Partnership (RCAP) is a national network of nonprofit organizations working to ensure that rural and small communities throughout the United States have access to safe drinking water and sanitary wastewater disposal. The six regional RCAPs its partners or affiliates provide a variety of programs in their section of the United States to accomplish this goal, such as direct training and technical assistance; leveraging millions of dollars to assist communities develop and improve their water and wastewater systems.